Wouldn't it have been simpler if an infinite number of copies had simply materialised, at midnight, on the bedside tables of eager readers worldwide? Well, they could, not by magic, but in a form even us mugs could understand. The e-book: arguably the biggest publishing phenomenon since Bridget Jones. The principle is simple. Instead of paperbound volumes, you download the text of a novel (or several novels) onto a handheld, electronic device. Once loaded, you can flip through the pages as you would a normal book, or have it scroll automatically at a comfortably reading pace. The idea has been discussed for years, but why bother? A real book won't run out of batteries. It won't crash, strain your eyesight, or electrocute you if you read it in the bath. And you don't need to buy 200-worth of hardware just to open the front cover. But with an e-book, there is no need for an index; you simply search automatically for any word. Highlight and annotate the text, or watch the diagrams come to life as animated pictures. If you've got a WAP phone, you can even dial in to your personal "library" and search for a particular extract or quote. Ideal for students or the pub quiz cheat. Those with poor eyesight - or the terminally lazy - could enjoy instant audio translation (what could be more romantic than a steamy Jackie Collins read by the voice of HAL from 2001?). Your world view no longer needs to be dictated by a 1966 copy of Pear's Encyclopedia - with e-books, regularly downloading new editions means you're always be up-to-date. The British Library could fit into a garden shed, open 24 hours a day, and when your loan period was up, your book would simply cease to work. Still can't find that outof-print edition? Nip into your local print shop and have your own personal copy printed for virtually no added cost. Publishing heavyweights are now wising up to e-books. Barnes and Noble has poured 10 million into an electronic library, every volume cheaper than its paper-based equivalent. In India, 700 workers are slaving over hot keyboards to digitise Taylor and Francis's entire back catalogue of 17,000 academic tomes. Stephen King was the first big-name e-book author with Riding the Bullet. Now Time Warner has created iPublish. com, to push talent online. Even Microsoft has teamed up with Toshiba to develop a more readable e-book prototype. Last month in New York Franklin Electronic unveiled the MP3 music playing e-Bookman, due out in the autumn. Most tellingly, perhaps, we now have the first e-Book Prize, worth $100,000. Soon, buying an e-book will be as easy as buying a can of Coke. 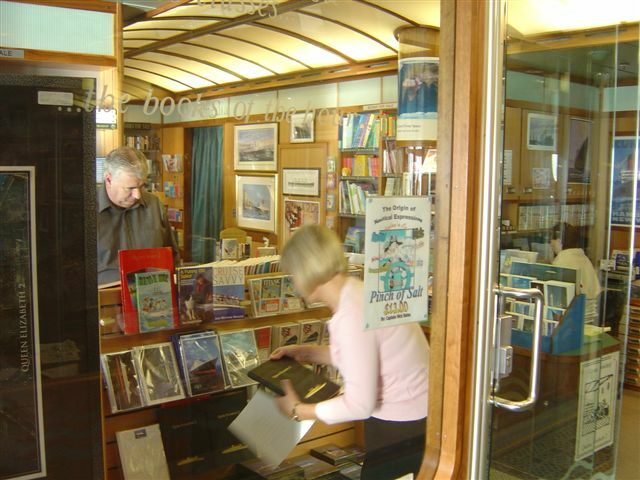 Just stroll into a bookshop and insert your Pocket PC into a special kiosk. Swipe your credit card, and hey presto! Several major chains are already trialling such devices. So what will the "book" of tomorrow look like? "Perhaps in the future we'll read books on a paper-thin, touch-sensitive screen, which then folds away to the size of a credit card," suggests Sol Rosenberg, President of e-book pioneers Versaware. "It could also double as a telephone, a personal information manager, even a web browser ..."